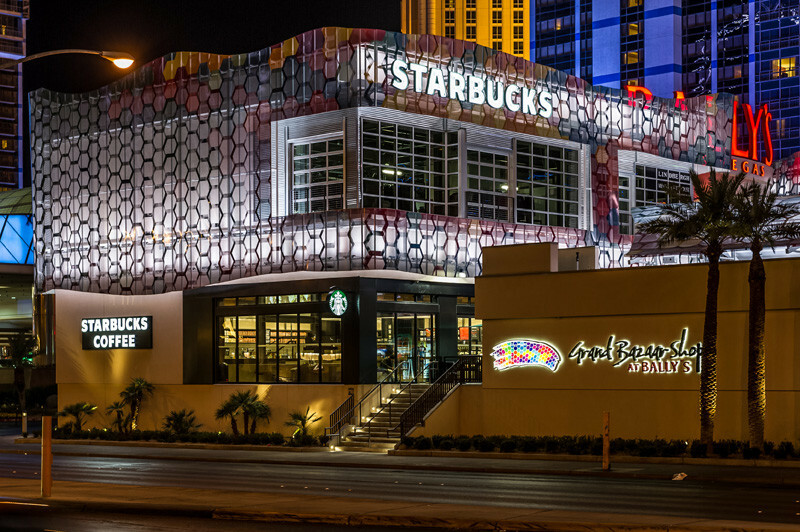 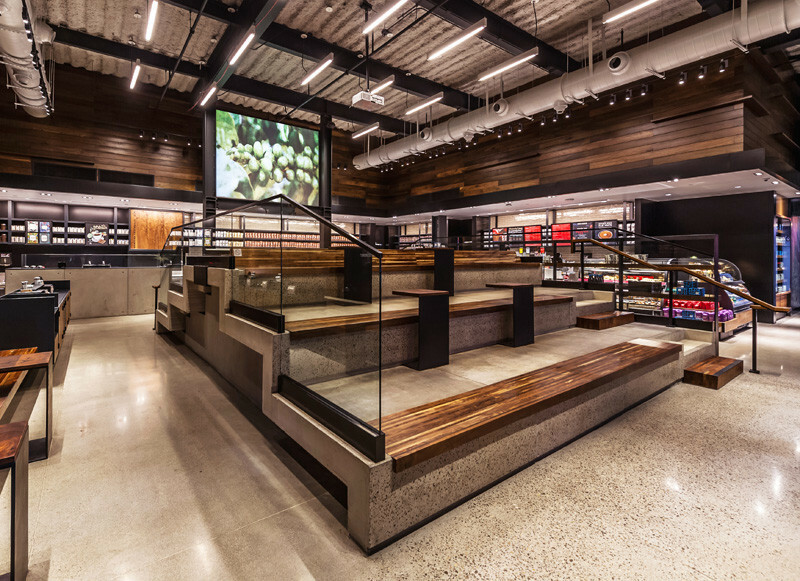 Starbucks have opened a new location on the Las Vegas Strip, that does things a little different on the inside. 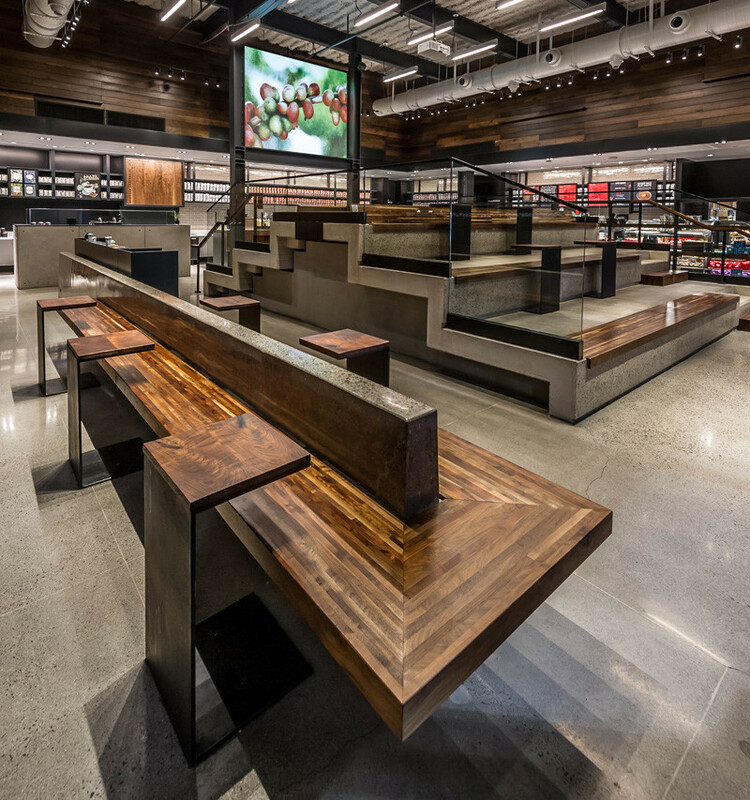 Instead of the typical tables and chairs, they included theatrical stadium style seating, that has enough room for 30 to 40 people, as well as surrounding bench seating. 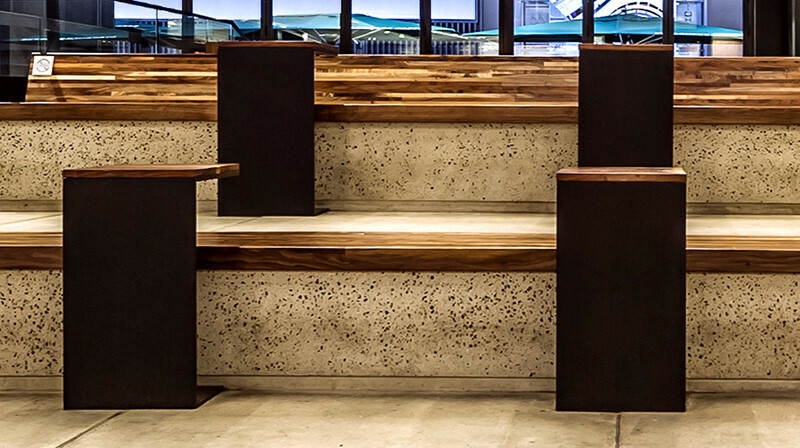 A variety of materials have been used throughout the space, including walnut wood, black steel, concrete and glass. 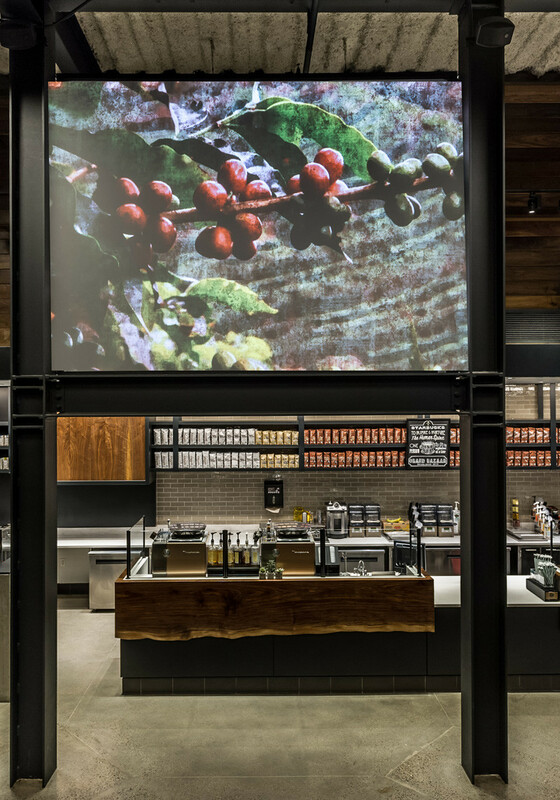 While sitting in the central seating, customers are able to watch a mini movie on the 150 square foot movie screen, that shows the story of Starbucks coffee from bean to cup.